Occasionally the question is asked, “What can I do to keep my eyes healthy?” With all things considered...family medical history, current medication usage, increased electronic screen time, and UV exposure, this is a valid concern for all of us! 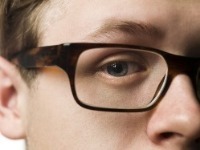 So, is there anything we can do to help preserve our precious sense of sight? Yes, we can! Remember what your mom told you? “Eat your vegetables.” For eye health focus more on those foods that are rich in antioxidants and the protective pigments (carotenoids) found in the eye, which are lutein and zeaxanthin. High concentrations of lutein can be found in green leafy veggies, like kale and spinach. Other good sources of these carotenoids are kiwi, squash, red and orange peppers, peas, brussel sprouts, zucchini/squash, collard greens, broccoli, corn, and more. Overall good general health is beneficial for eye health. Regular exercise and eating healthy can help lower the risk of developing diabetes and hypertension, diseases which may lead to permanent vision loss or even blindness. Smoking can have harmful effects on the eyes as well. Finally, one more important part of maintaining good eye health is yearly eye exams. 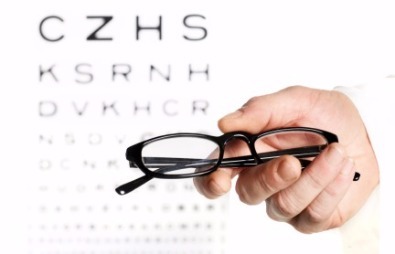 At each visit the prescription will be tested to provide optimal clarity of vision. Also, the eye pressure and the internal/external structures are evaluated to ensure your eyes are healthy. We look forward to seeing you each year and are grateful you are a part of Sugar House Vision! The leaves have turned, and started to fall from the trees. Cool autumn air has arrived, and snow isn't far away. As our kids are settling in to their new school year, we think about gathering with family and friends for holidays at the end of the year. Often the year's end is one of the busiest times of the year for many of us as we plan gatherings, trips and vacations, and wrapping up another year at the office. With all the distraction, it's easy to forget to use our FSA money before it disappears at the end of the year! We'd like to remind you to be sure to check your HSA and Flex accounts - as well as your vision insurance plans - and stop in to see us before the end of 2017. We suggest checking your benefits now, and not waiting until the end of December, as most doctor's offices will be extremely busy the entire month. Appointments can be difficult or impossible to schedule in time to utilize your benefits if you wait! Our optometrists are available for comprehensive eye examinations 6 days a week, and now is a perfect time to update your prescription. Flex dollars can be used in our office for much more than just eye examinations and insurance co-payments. You can also use your dollars for glasses, contact lenses and cleaning solutions, sunglasses, and yes, even ski goggles. Again we urge you not to wait until December to use your benefits! Nothing is more frustrating than waiting till the very last minute, and not being able to get in when you need to most. We look forward to hearing from you, and helping you maximize your benefits before they disappear at the end of the year. Call, email, or stop by the office and we'll get you in right away. As always, we wouldn't be here without you, and we are very thankful you are a part of our Sugar House Vision family.